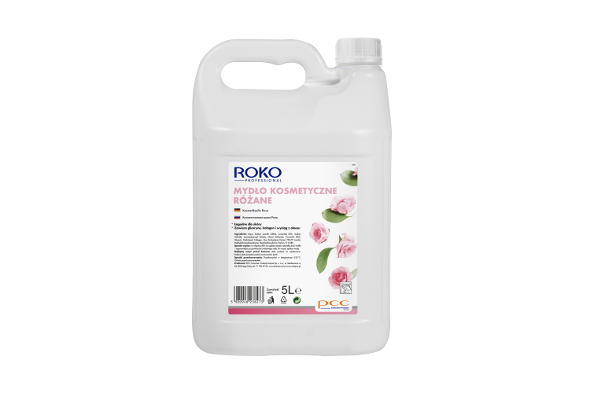 ROKO PROFESSIONAL COSMETIC SOAP rose is a liquid cosmetic hand and body soap with a gentle rose fragrance. It contains high amount of surfactants and skin care ingredients. It gently cleanses and nurtures the skin, and contains collagen and elastin for regenerating, firming and smoothening the skin. Aloe extract soothes irritation and addition of glycerin leaves the skin moisturised. soap liquid soap cosmetic soap hand washing.